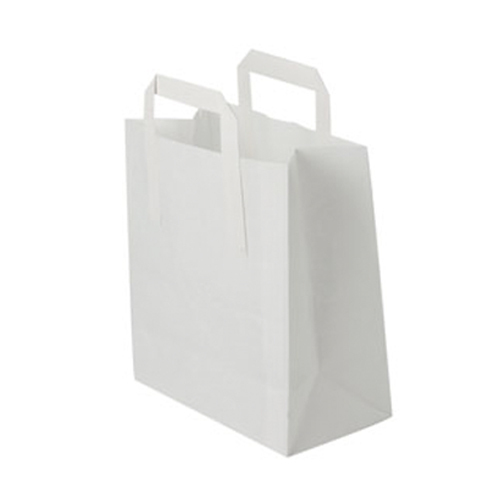 Qty 100 x Medium Kraft Carrier Bags, Excellent Quality. This is a totally recycled product. Size approx 8.5" wide x 10" inch deep. 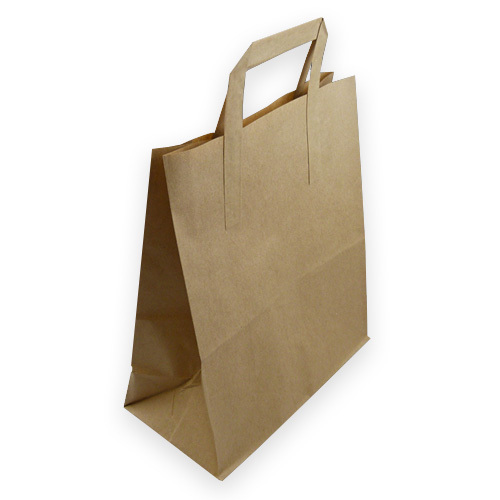 This is the style and size of bag used by fast food or takeaway shops. 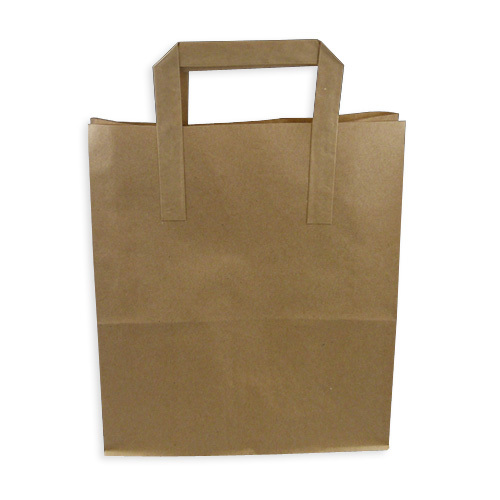 These bags are now available in Kraft or White, both items are a recycled product.